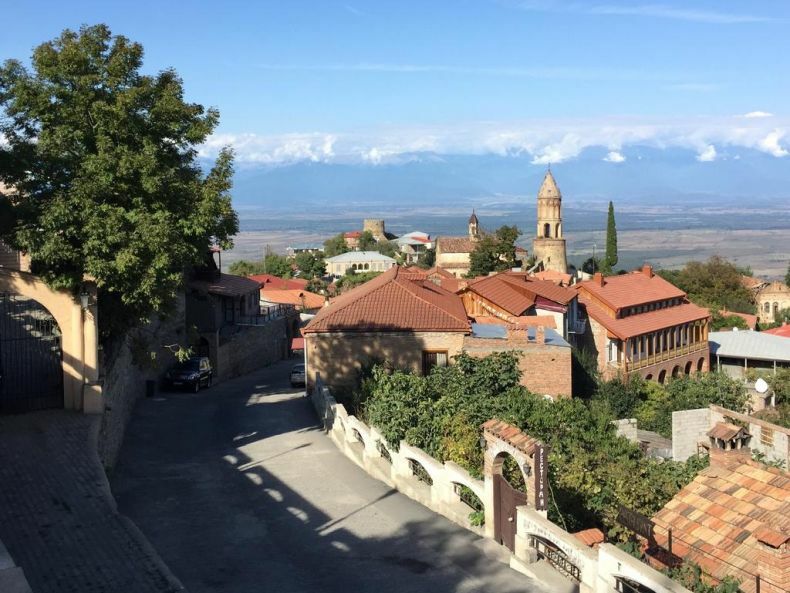 If there is a reason to visit Sighnaghi, then here you go - museums, history, and gourmet food. Sighnaghi has been on my travel list for years, and I keep returning year after year. Great views of the Alazani valley, interesting architecture and city wall are the reasons I keep returning. When looking for 5-star hotels in Sighnahi, seems there is just one (in 2017) Kabadoni Boutique Hotel. You should be willing to pay around GEL 30 (guesthouses) - GEL 220 (hotel) for a stay in a Sighnaghi. Please note: hotels listed below may contain links to Booking.com, by clicking on links on this page and by making a reservation on Booking.com site, I might earn an affiliate income, at no cost to you. Located in Sighnaghi’s historic centre, Nana's Guest House is a restored 18th-century house, a 2-minute walk from Sighnaghi’s Ethnographic Park. It offers simple rooms with country-style furnishings and free Wi-Fi. Featuring a balcony, all rooms come with a satellite TV with DVD player and a seating area. The private bathroom includes a bath tub or shower and a hairdryer. A breakfast, consisting of organic, home-made products, is served daily in the breakfast room. Guests can relax in the garden, complete with BBQ facilities. Nana's Guest House is a 10-minute walk from Sighnaghi’s Main Square and a 3-minute walk from shops, bars and restaurants. The Sighnaghi Central Bus Station, with links to Tiflis, is a 5-minute walk from the property. 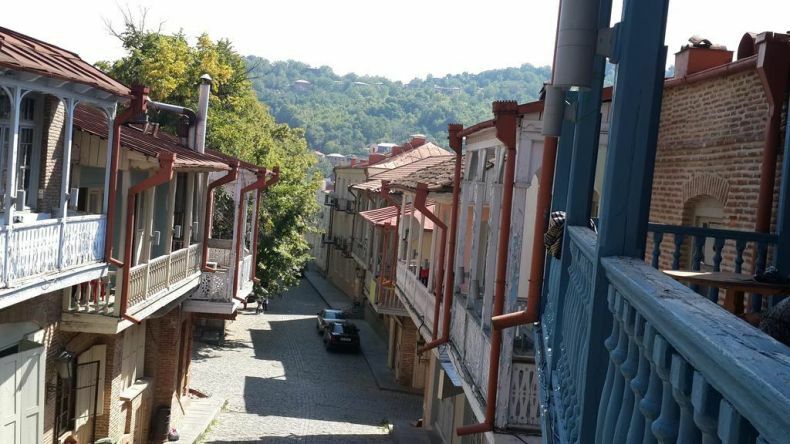 Featuring free WiFi, Lia's Guest House offers accommodation in Sighnaghi. Free private parking is available on site. Each room in this guest house offers a private entrance. Some units include a seating area to relax in after a busy day. Some rooms feature views of the mountain or garden. The rooms include a private bathroom. A flat-screen TV is available. Enjoying stunning mountain views from the terrace, Nato and Lado is a 3-star guest house located in Sighnaghi. Scenic views can be seen from the balcony, Pirosmani Art Museum is only 230 m from the accommodation, and Bodbe Monastry is 2 km away. Individually decorated, the room at the guest house offer free WiFi, and air-conditioning. Some room offer a TV with cable channels, and the bathrooms come with either a bath or shower. Breakfast is provided each day, and guests can try traditional Georgian cuisine. There is a shared kitchen which guests are welcome to use. An array of activities are available, including hiking, and there are Georgian folkloric songs and entertainment in the evening. 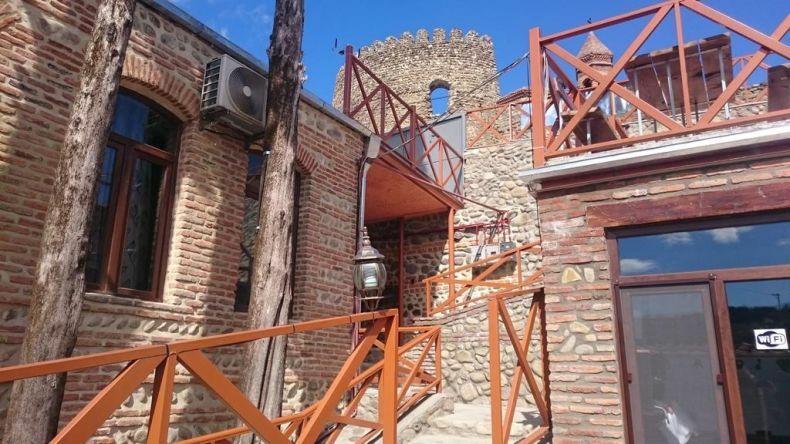 Located in Sighnaghi, a 5-minute walk from the 18th-century Sighnaghi Fortress, this hotel offers free Wi-Fi and a 24-hour front desk. Church of St. Nino is 2 km away. Rooms at Galavnis Kari Hotel feature a TV with satellite channels. Some rooms include a balcony. Private bathrooms are fitted with a shower and hairdryer. Guests can enjoy Georgian and European cuisine at the Galavnis Kari Restaurant, or have a drink at the on-site bar. Property also has a wine cellar, offering two types of wine. The nearest bus stop, providing connections around the area, is 700 m from Galavnis Kari Hotel. Tbilisi International Airport is 90 km away. Featuring free WiFi and a barbecue, Guest House Art offers accommodation 200 m from Sighnaghi city centre. Free private parking is available on site. Some units feature a seating area to relax in after a busy day. Enjoy a cup of tea while looking out at the mountain or garden. All rooms are equipped with a private bathroom. A flat-screen TV is featured. 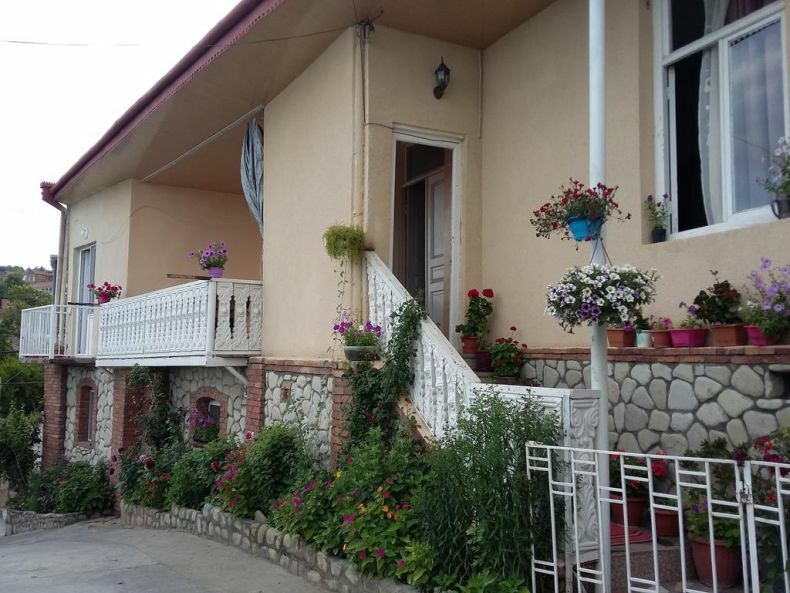 Guest house Evdoshvili St N5 is a guest house in Sighnaghi that boasts a garden and terrace. Each accommodation at the guest house has mountain views and free WiFi. Rooms include a balcony with garden views. The units in the guest house are equipped with a TV. Every room is equipped with a private bathroom with a shower, free toiletries and a hairdryer. All rooms have a desk. Guest House Pirosmani 60 is set in Sighnaghi and boasts a terrace and shared lounge. This guest house offers a 24-hour front desk and free WiFi. The accommodation features a shared kitchen, and organising tours for guests. At the guest house, every room comes with a wardrobe. The rooms are fitted with a kettle and a private bathroom, while selected rooms also offer a terrace and some have mountain views. All units will provide guests with a dishwasher. 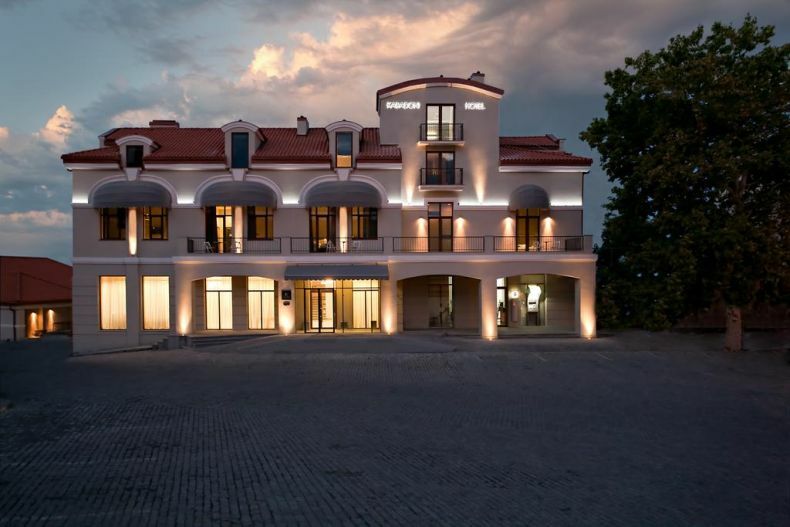 Featuring an indoor swimming pool and a wellness centre, Kabadoni Boutique Hotel is located in the historic Sighnaghi Town. Guests are offered a wine bar and rooms with free Wi-Fi. Each elegant air-conditioned room at Kabadoni includes an iPod docking station and a flat-screen TV. Bathrooms come with slippers and bathrobes. Local Georgian dishes are served in the Kabadoni Restaurant, while relaxing cocktails are offered at the outdoor Sunset Lounge Bar. A range of wines from the Alazani Valley can be enjoyed at the Wine Bar. Relaxation at the hotel is provided by the spa centre including a steam bath, massage and a fitness centre. 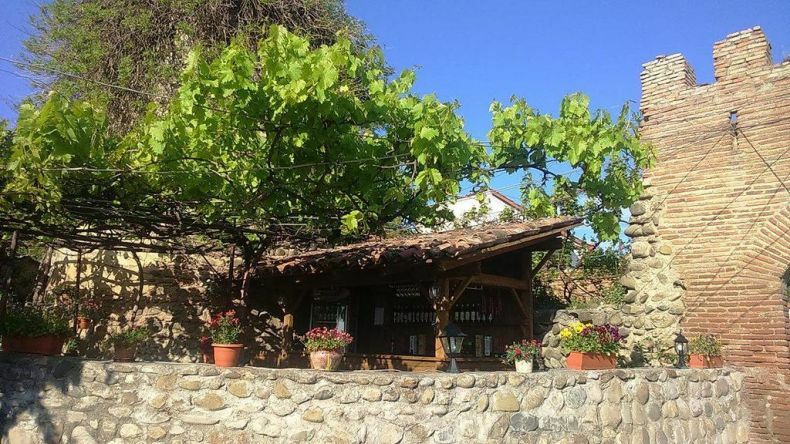 Tours around the Alazani Valley wineyards and Kakheti Region can be organized by staff at the hotel, and the 9th-century Bodbe Monastery is 2.5 km away. A shuttle service to Tbilisi Airport (98 km) is provided on request. 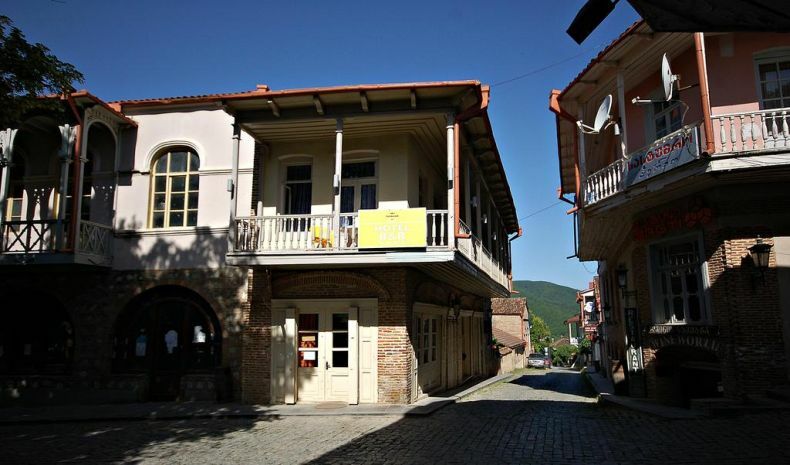 Located in Sighnaghi, Boutique Hotel BelleVue offers air-conditioned rooms with free WiFi. All rooms boast a flat-screen TV with satellite channels and a private bathroom. Free private parking is available on site. At the hotel every room comes with a balcony. The units feature a wardrobe. 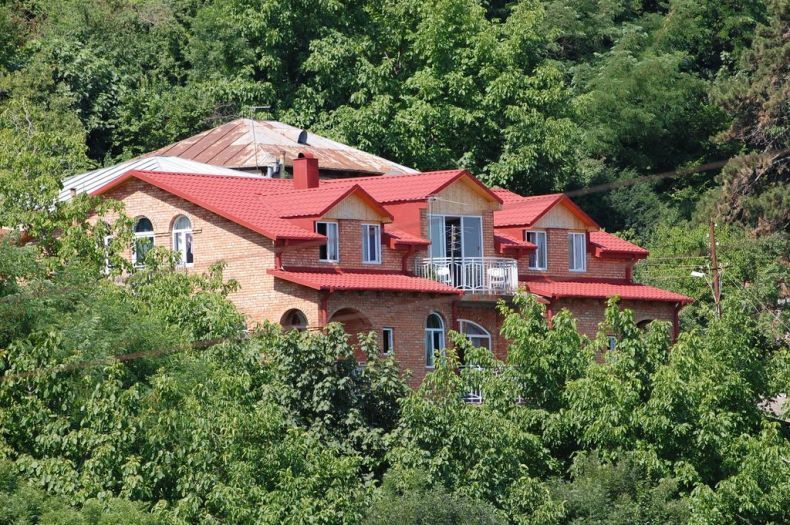 Surrounded by greenery, Zandarashvili Guest House is located in Sighnaghi. Free WiFi access is available. The classic-style rooms are simply decorated. Some rooms include a private bathroom and a balcony. At Zandarashvili Guest House you will find a 24-hour front desk, a terrace and laundry facilities. An array of activities can be enjoyed on site or in the surroundings, including cycling and hiking. The property offers free parking. Samgori Bus Station in Tbilisi is 1.5 hour-drive away. Tbilisi International Airport is 85 km away. Set in Sighnaghi, Golden Lion boasts a bar. Featuring on-site dining, the guest house has air-conditioned rooms with free WiFi. Every room is fitted with a balcony with views of the city. At the guest house, all rooms are equipped with a wardrobe. All rooms will provide guests with a fridge. 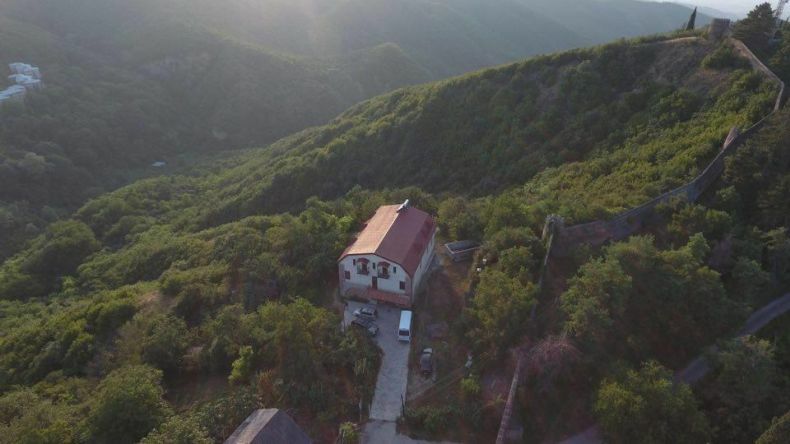 Kusika is a guest house located in Sighnaghi, enjoying stunning panoramic views of the Alazani Valley, it is situated within the courtyard of a 16th century fortress. Guests can enjoy a peaceful garden, a large terrace and barbeque facilities. Free WiFi access is available, along with either a flat-screen TV or TV, and satellite or cable channels. The bathrooms come with either a bath or a shower. There is a shared lounge and children’s playground. A continental breakfast is available to order each day, and guests can prepare their own meals in the shared kitchen. 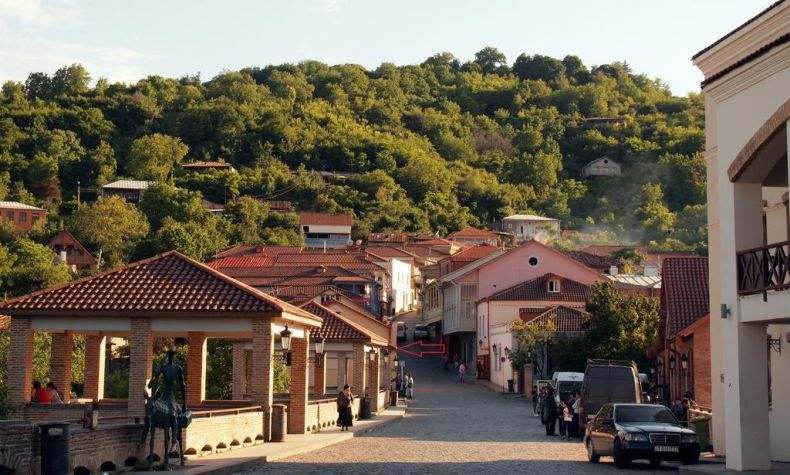 Ingredients can be bought in Sighnaghi centre just 600 m away, or try one of the restaurants and cafes. Guests can relax and listen to the birds singing, while sampling Georgian House wine at the property, or check out the Bodbe Monastery, just 2 km away from Kusika. 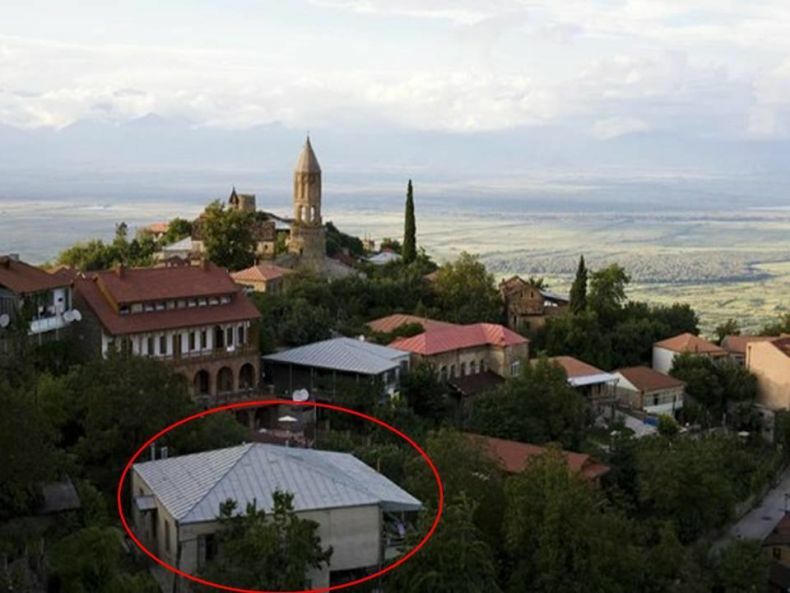 Boasting a garden, Guest House 2017 is situated in Sighnaghi. This guest house offers free WiFi. The accommodation provides a 24-hour front desk. 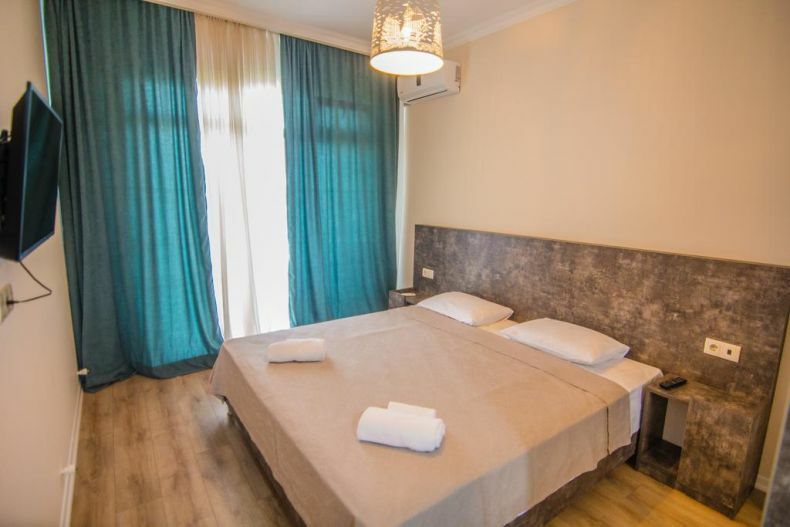 All guest rooms have a seating area, a flat-screen TV with satellite channels, a kitchen, a dining area and a private bathroom with free toiletries and a bath or shower. Each room has a kettle, while selected rooms are fitted with a terrace and others also boast mountain views. The units will provide guests with a microwave. Boasting a garden and terrace, as well as a restaurant, Old House in Sighnaghi is located in Sighnaghi. With free WiFi, this hotel offers a 24-hour front desk. Staff on site can arrange airport transfers. All rooms in the hotel are fitted with a flat-screen TV with satellite channels. Each room has a private bathroom with free toiletries and a hairdryer. Guest rooms at Old House in Sighnaghi feature air conditioning and a desk. 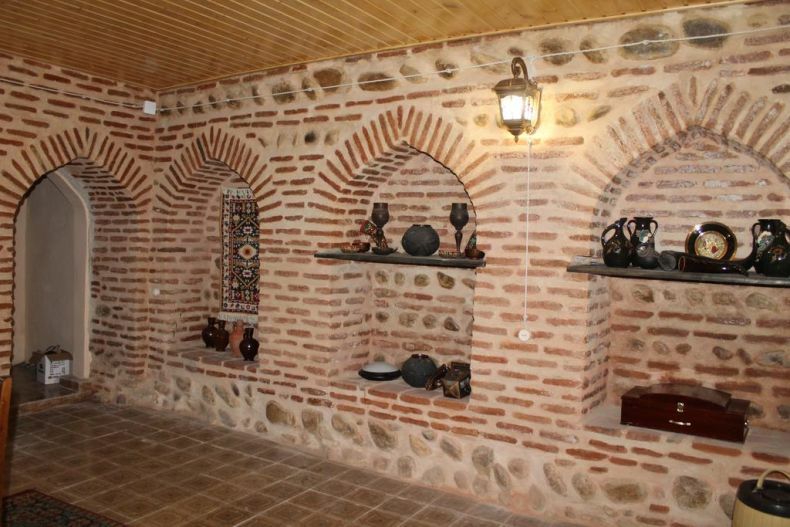 Guest House Maria is located next to a historic fortress in Sighnaghi. Free WiFi access is available. 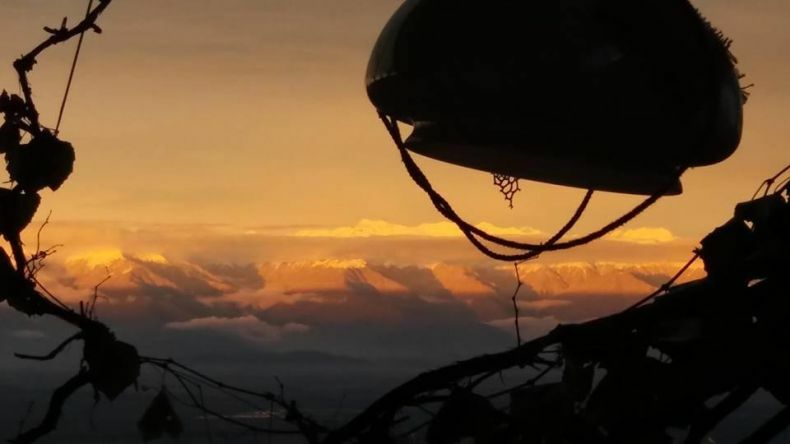 The property features a view over Alazanskaya Valley and the Caucasus Mountains. Each room here will provide you with a TV with cable channels and a balcony. Guests have access to a full a kitchenette with a microwave and an oven. Featuring a shower, shared bathroom also comes with a bath. You can enjoy lake view and mountain view from the room. At Guest House Maria you will find a 24-hour front desk, a garden and a terrace. Other facilities offered at the property include grocery deliveries, a shared lounge and luggage storage. The property offers free parking.